The First Justin De Jacobis, Falco, B.
St. Justin De Jacobis. Founder of the New Catholic Generation and Formator of its Native Clergy in the Catholic Church of Eritrea and Ethiopia, Ghebresellasie, I.
St. Justin De Jacobis and His Dealing with the Coptic Christians of Ethiopia, Mezzadri, L.
Justin De Jacobis: the Art of Dialogue, Beyené, Y. 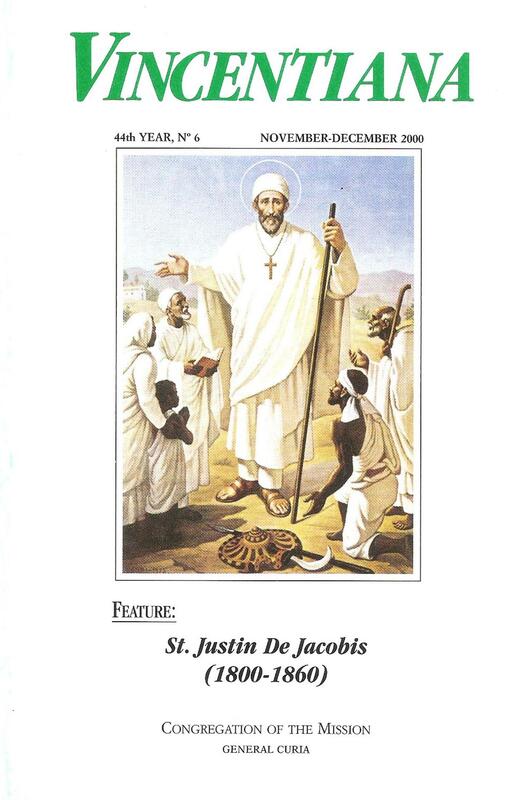 Devotion to St. Justin De Jacobis in Eritrea and Ethiopia, Ghebresellasie, I.
Edited and Unedited Writings of St. Justin De Jacobis, Guerra, G.
Bibliography of St. Justin De Jacobis. Biographies and Studies, Nuovo, L.